photographers i love | .liveit.loveit.blogit. I’m in Antarctica until February 7th! This post was pre-programmed! You want to know what I love. 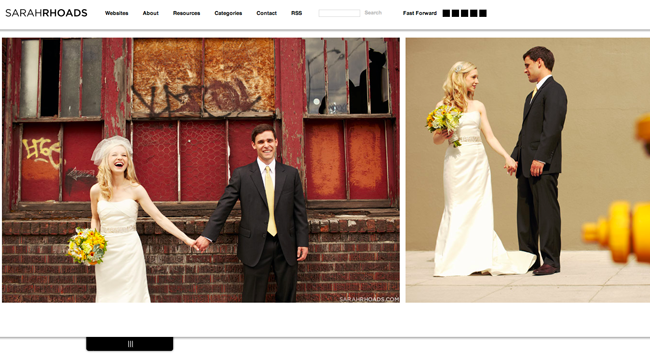 Really good portrait & wedding photographers. And I’m pretty sure your not surprised about that, given my current employ as a wedding photographer. And in the female spirit of Tuesday’s and Wednesday’s posts. Women. Again. I’m starting to see a trend here people! 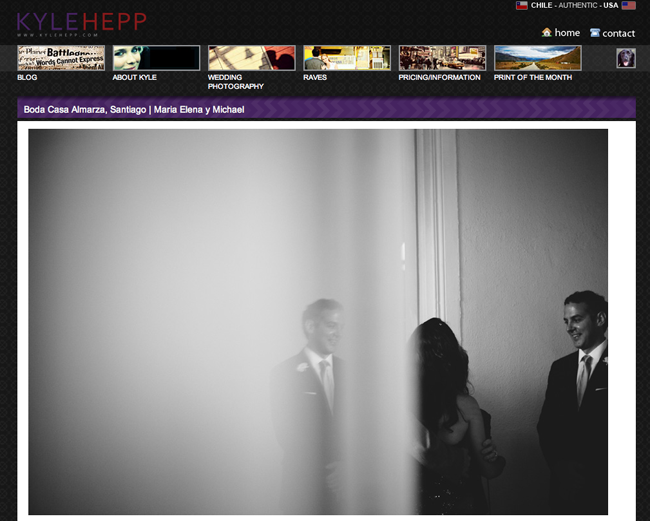 Kyle Hepp is an American expat living in Santiago with her Chilean husband Seba. Together they shoot the most amazing images. Kyle’s blog is mostly her portrait and wedding work, but it also includes several personal posts and gorgeous travel photos. She’s involved with one of my favourite sites on the internet (that I’m going to tell you about tomorrow), and she’s pretty much awesome. Go check out Kyle's site! I can’t tell you what it is about Punam Bean’s photos that speak to me. But something does. And in the years I’ve been following her blog, I feel like I know her. She and her husband have recently relocated back to So-Cal and are expecting a baby (or by the time the post goes live, may have had said baby) so things may be a little light on her blog for awhile. But I bet they’ll be adorable. 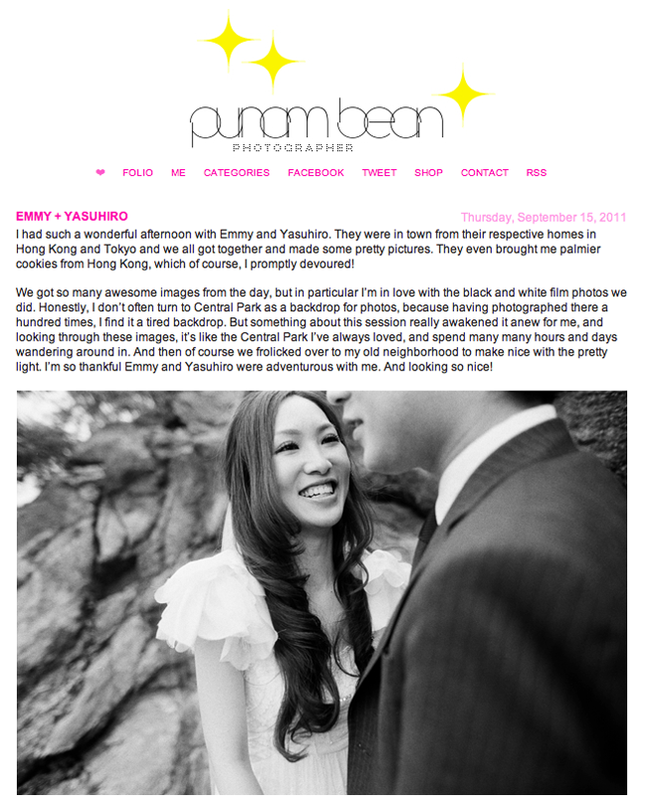 Go check out Punam's site! I love Sarah Rhoads work. In a recent brunch date I had with Tara McMullen (who I also love), we were discussing how very few female photographers are valued for the quality of their work, as opposed to the quality of their brand. Sarah Rhoads’ name came up as one of the former. And I love her for it. Go check out Sarah's site! Sarah Rhoads mentors people and then posts about them. “Two” of those people have become some of my favourite photographers. (“Two” because the latter is really a woman and her husband). So, if you’ve got a spare moment, go check out Spencer Combs and Jenn Stark as well. You won’t regret it! And look! Spencer isn’t a woman! I’m not so sexist, after all! I feel so incredibly honored to be in this list of yours!!! And wow, with two of my favorite photographers as well! I’ve never heard of Spencer Combs, off to check him out…thanks for the heads up! Thanks Kyle – you’re amazing, and that’s why you’re on this list!! I hope you like Spencer’s work – I love it. I also love his styling!